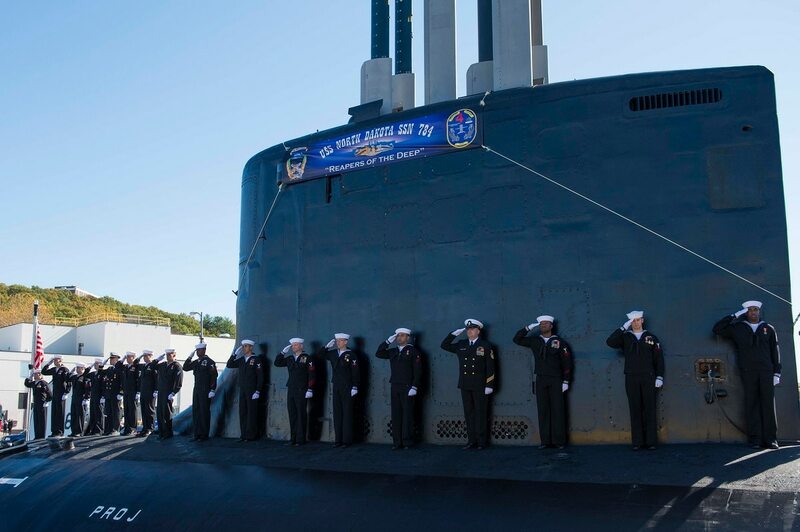 The crew of the submarine North Dakota raced through bad weather to save a shipmate’s life after an unidentified petty officer shot himself in the chest with his military-issued rifle while the vessel was underway, according to Navy officials and a post on the boat’s Facebook page. Cmdr. Mark Robinson, the boat’s captain, praised his crew in the post for their feverish efforts on Friday to get the sailor back to land. Corpsmen leapt into action to treat and stabilize the man’s injuries, while radiomen kept communications open in bad weather, allowing trauma doctors to remotely lend assistance, according to the post. The boat’s navigation and driving teams charted the fastest way back to port and cut through heavy seas on their way to the mouth of the Thames River in New London, Connecticut, where they transferred the sailor to a waiting tug. Other crew members helped in other ways. Some lashed themselves to the boat’s deck in “Pea Soup” fog around midnight to form a human safety net, blocking the weather for paramedics conducting the transfer, he said. Some stood exposed in the storm to flash lights and help lead the tugs.